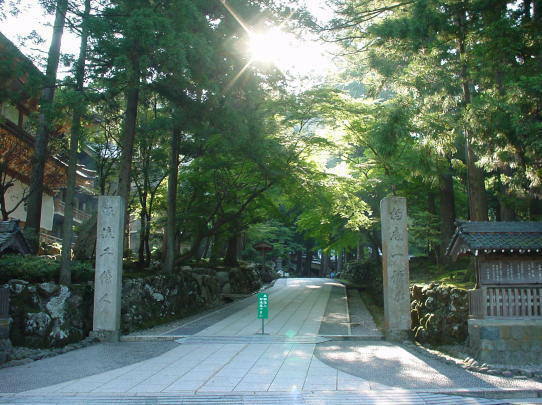 Eihei-ji Temple is one of the oldest temples belonging to the Zen sect which the priest Dōgen did a founder of. Please look at next these how about some knowledge. It is something about a list of images of a beautiful temple. It is something about the list of the main temple affected Japanese culture. It is something about Five_Mountain_System. It is something about The list at the top Kyoto's Five Mountains (Kyoto Gozan). It is something about The list at the top Kamakura's Five Mountains (Kamakura Gozan). It is something about List_of_National_Treasures_of_Japan_(temples). 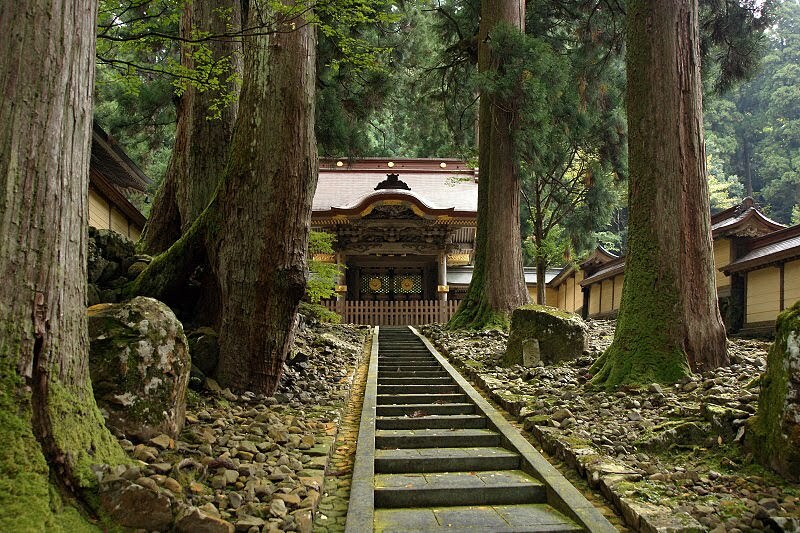 Those trees by the stairs, with moss growing on them, they were almost as ancient and wise as life itself. There is a big tree protected carefully in this way in the Japanese heart of a mountain. The power of the Zen may contribute to it.